President Donald Trump got personally involved Tuesday in distributing aid to Puerto Rico, launching rolls of paper towels into the crowd at a relief center. 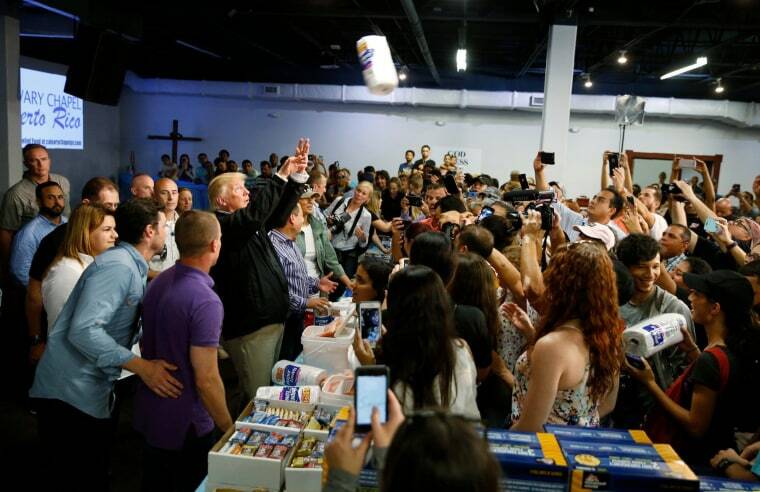 During a stop at Calvary Chapel in San Juan, the president passed out food to residents before throwing the rolls out one by one. Trump paused momentarily to take a selfie with someone before starting up again. "There's a lot of love in this room," Trump said. Tuesday was the president's first visit to the U.S. territory since hurricanes ravaged the island nearly two weeks ago, leaving many without water, food, shelter or basic necessities.